Sometimes squirrels fall down walls. This usually happens when squirrels are living in the attic of a house, and they get too curious about their new environment. Walls are hollow, and the top often opens right into the attic space. If a squirrel tries to climb down, it may find that it has nothing to grab hold of, and it slips down to the bottom. In nature a squirrel can climb just about anything. However, many human-made substances are too slick to climb. This is why squirrels can get stuck at the bottom of a metal flu chimney or a smooth masonry chimney flu, or smooth drywall. Most adult squirrels are smart enough to keep away from the walls of a home. 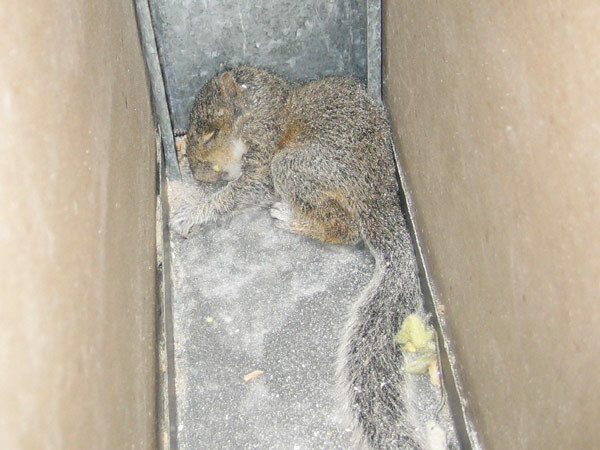 Most of the cases of a squirrel stuck in a wall involve juvenile squirrels. This is a photo of the wall. The person living here heard noises scuffling down in the wall - as well as distress calls. The person didn't know what to do, (or was lazy) and did nothing. The squirrel struggled for a few days, and then died. Soon, a strong odor developed, and that was enough for the person to take action. I sniffed around in the apartment and found that the strong odor was indeed coming from the area the occupant described hearing the noises from. I could tell the exact area by scent, and cut a hole in the drywall. I use a reciprocating saw, and place a towel below to catch dust. 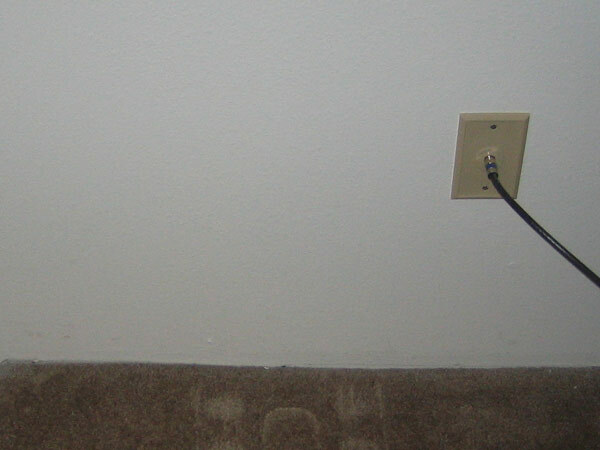 I stuck the camera in the wall and took this photo. You can see the young squirrel has died. It was at the age when it was active and mobile, but not yet wise in the ways of the world - and down the wall it went! I remove the squirrel from the wall and place it in a biohazard bag. 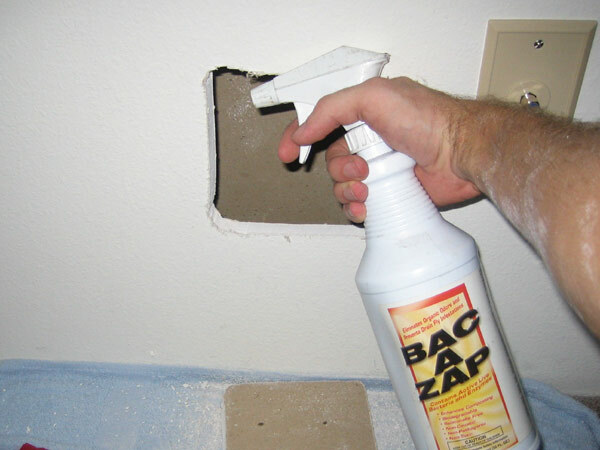 Next, I spray the area with Bac-Azap, which is an excellent deodorizer and decontaminant in the case of dead animals. You can't just spray this stuff in the air to get rid of the smell, but once you remove the animal, you can spray the area to neutralize the stinky residual odor and juices left behind. After the animal is removed and the hole sprayed, I replace the cut-out section of drywall and use a special adhesive drywall patch to hold it together. 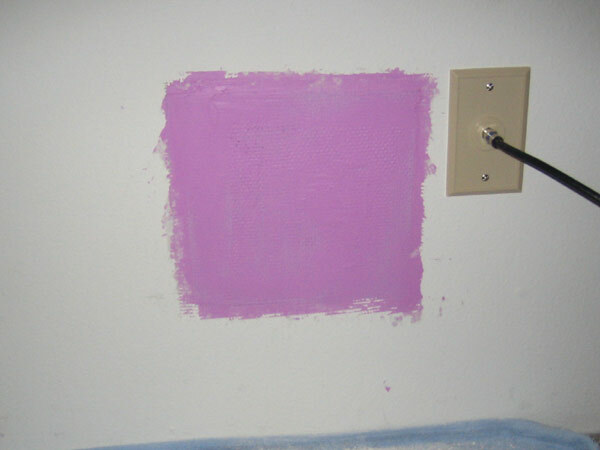 Next, I spackle the area. It will dry to the same white color. It can be sanded and painted for an even better finish, good as new. This is really the only way to remove a dead squirrel in the wall. You can't get rid of a squirrel in the wall with any product, it must be done manually. There's a slight chance it may be accessible from the attic, but a wall is usually 8 feet down, with limited space, and oftentimes structural beams block access. In most cases, I must cut a hole to remove the animal. It's important to remove dead animals not only because of the odor problem, but because they can spread various disease that people can get. If you don't live in Florida click my Nationwide Directory of Wildlife Professionals serving almost every town, in all 50 states. For more squirrel trapping information, go back to the squirrel control page. If you are looking for squirrel or wildlife control in the Philadelphia PA area, please visit our Philadelphia Pest Control & Wildlife Removal page. 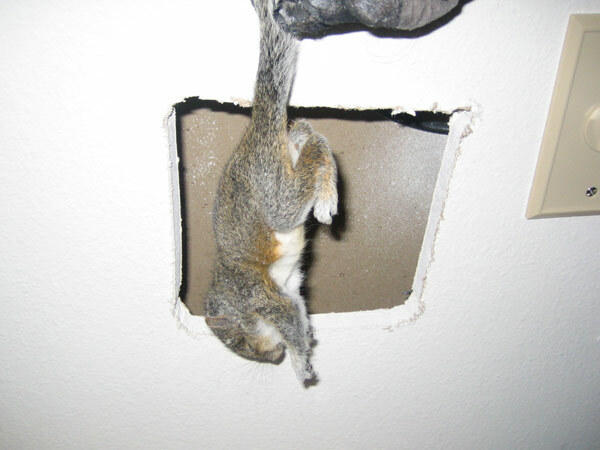 How To Get Live Squirrels Out Of Walls - You do not want squirrels in your house, but out of all the places where they can be you really do not want them in your walls. The problem with squirrels in the wall is that there is a chance that they will not be able to get out. If the squirrels become trapped in there without food and water it is only a matter of time before your home smells of dead squirrel and if that ever happened to you then you know that is something that you want to avoid at all cost. So how do you get squirrels out of walls? You will need to listen to the wall so that you can hear where the squirrel is. 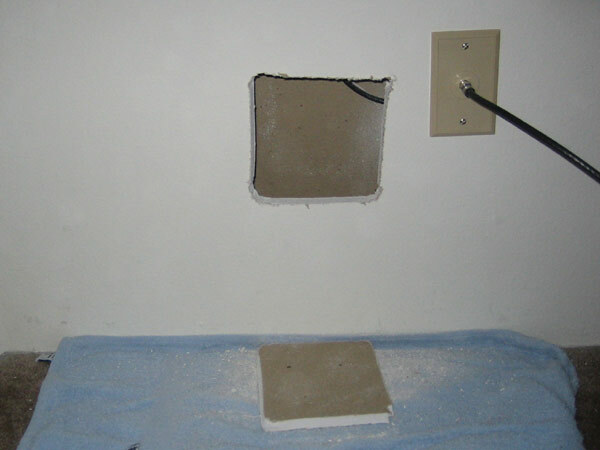 Once you have located where the sound is coming from you will want to make a small hole in the bottom of the wall. 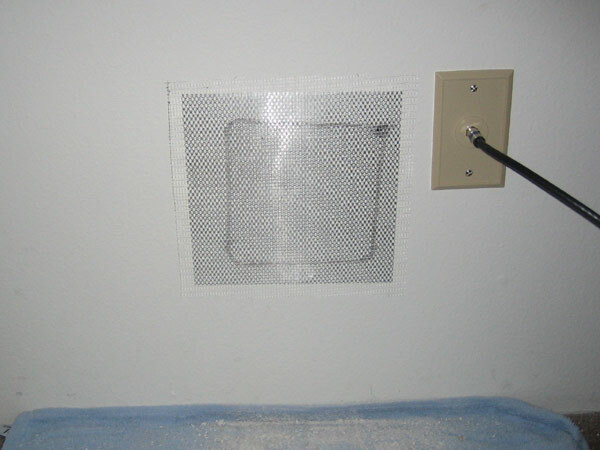 The hole should be big enough to place a trap so that it will be easy to get the squirrel in. Do not make the hole on the outside of your home because that will just be an entry point for other wildlife to come into your house. After the squirrel is trapped, dispose of it outside, preferably several miles away and fix the wall. That is how to get squirrels out of walls. How To Find A Dead Squirrel In The Wall - So you are looking for information on how to find a dead squirrel in the wall? If a squirrel has died in your home it will not take you a long time to realize it. The decay process will start and you will start smelling it all over your house. You can look for it using the sense that deals with smell and it will not take long to take you there. Unfortunately sometimes your nose will take you to the wall, and when that happens, you have to find where exactly the squirrel is so that you can remove it. You should be ready to fix the wall because you will have to make a hole in it. The smell will guide you to the correct wall; even if the room is small the smell will be stronger in one of the walls so it is important to focus. Once you have found the right wall make sure that the squirrel is at the bottom of the wall; that scenario is the most likely be the one that you find, however if there is a beam in the middle of the wall as support the dead squirrel may be there. You can tap around your wall to listen for differences in the sound. Once you are certain about the location, make the hole and remove the squirrel.